I searched how to deploy to my SOA Cloud Service from JDeveloper. But I found nothing in the documentation. Note: I use Cygwin SSH and 111.222.333.444 is the public IP address of my SOACS. Click the tree icon. Navigate in the tree to Soa-Infra. Click on the deployed instance tab. Click on the composite (here SoaHelloSync). Then click on the Test button. You can test your composite. In my case, this gives this. 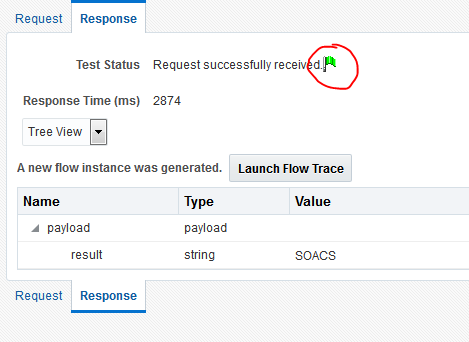 What means that whatever happens to your RAC installation, your programs get always a JDBC working connection even when a RAC node brutally dies or that a node is simply shutdown for maintenance. 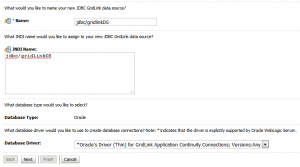 Better, when the RAC node restart, the JDBC pool get balanced to use the restarted node. If you do not have such install, you follow an blog like this one, to install RAC on VirtualBox. First, let’s see if the RAC is working. The database is called “racdb”. 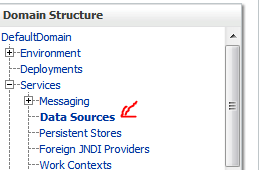 It is not a PDB database. 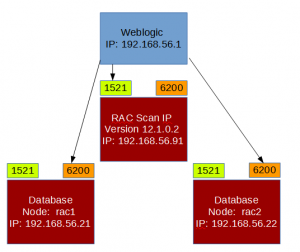 The nodes are on machine rac1 and rac2. 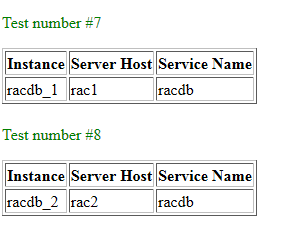 Service "racdb" has 1 instance(s). 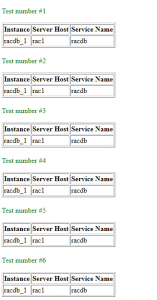 Service "racdbXDB" has 1 instance(s). 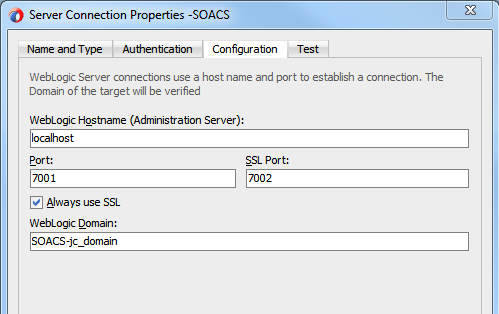 The ONS service is started on port 6200 on 192.168.56.21 (rac1) and 192.168.56.22 (rac2). Select the managed server where you will run the program. Go to the SSH console of your RAC installation. You will see only rac1 connections. You will see rac1 and rac2 connections. and to deploy it to a Java Cloud Service (Weblogic in the cloud) if the build is successful. 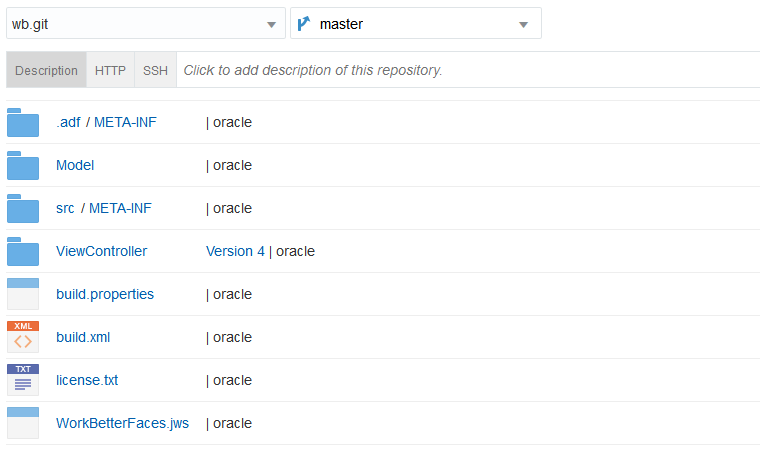 In JDeveloper (or manually), create a local git repository. 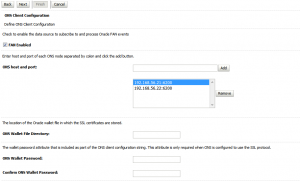 In Subtab “Triggers”, check the “Based on SCM polling schedule” checkbox to allow automatic compilation when the DCS GIT repository is modified. Leave the schedule empty. In JDeveloper, push the local GIT repository of JDeveloper to the remote repository in DCS. In the tab “Code”, you will see that your code is now in GIT. In the tab “Build”, you will see that the code is being build. If it compiles, you will see the list of artifacts in build tab. 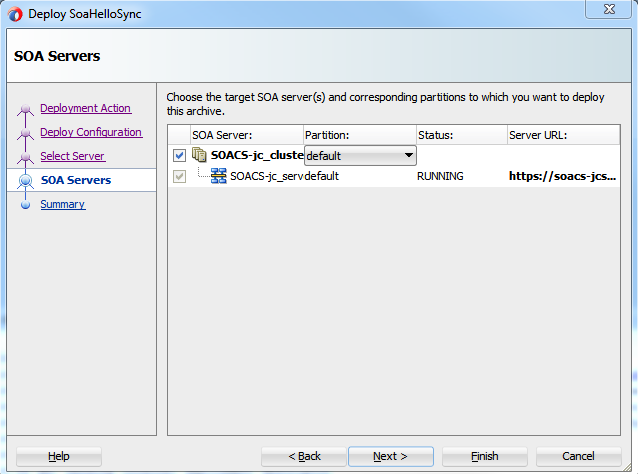 IN JCS, you can check that the deployment has succeed. 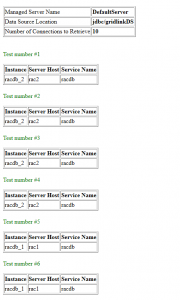 Log in to the Weblogic Server Console. Go to deployment, look for your deployed project. In the current version of Developer Cloud Service, it is not possible to compile directly a JDeveloper project. But there is a work-around by using an ANT script and odeploy. Then select “Buildfile from Application”. In the application resources, you will find a build.xml and build.properties. I have always being interested in IA. And it seems the Deepmind bought by Google created a program that get better result than previous types of neural network. They did release a paper and a part of their demo code. Here is how I tried to install it.